With Building Information Modelling (BIM) fast becoming the future of the AEC sector, are Building Component and FF&E Manufacturers behind the curve? Should they be taking this new approach to the design and build industry seriously and considering it as an opportunity to influence decisions much earlier than usual in the design stage of a project? The simple answer to the above question is YES and it has lead to the establishment of our BIM Components service. 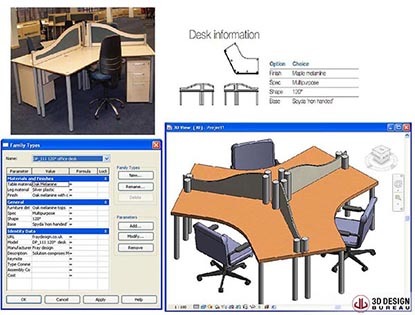 We create Building Components and Furniture, Fixtures and Fittings (FF&E) products in BIM format in order for them to be used within the early design of a BIM model. From our market research to date, it is clear that only some of the main players in the industry have harnessed the potential of BIM by offering all of their products to architects and design teams in BIM format to use within the BIM modelling process. However for the majority of manufacturers, BIM is a very new concept and something that has not, or is not being considered right now. However, for these companies, attitude will need to change if they are to stay ahead of their competitors around the globe. As any company knows, it’s impossible to sell something without a client or customer knowing what it is they are buying. So the first challenge we have with new clients of this BIM service is education! We first educate manufacturers on what BIM is and how it is transforming the industry and explain its impact on their business and industry. We give an overview of the BIM software used by design teams in the AEC sector, and in particular Revit, in order for them to understand how intelligent the software is. This helps them to understand how having their products readily available to their clients in BIM format gives them a chance to influence design decisions, and more specifically product choice, from the very outset of a project. As soon as manufacturers understand this, it is no longer a matter of convincing them to use our BIM Components service but rather a case of how soon can we produce their products as BIM models. Understanding that this service is NOT just about creating a 3D model of their products but rather the creation of an intelligent and informative 3D model containing parametric data is key. BIM Components are rich 3D models with vital information, pertaining to the product, embedded within them. From a component manufacturer’s point of view there is little to no work involved. As soon as they understand the process all they need to do is hand over drawing information on the products to be modelled along with spec sheets of these products. Because BIM models contain data, any data relating to the product, from U-values to product codes, will be embedded into the BIM model of the product/s. Once the product has been modelled and all data inputted, including even website address, the Revit model/s is handed over to the client to house on their own website or upload to the BIM cloud. From either location a design team member, architect or engineer, can access these files and load them into their BIM project and then use said product or products during the design of their building. What Does BIM Mean For Manufacturers? By allowing architects and design team members to use BIM component products in the design stage of a project allows for better design and ultimately dictate the design of a building. 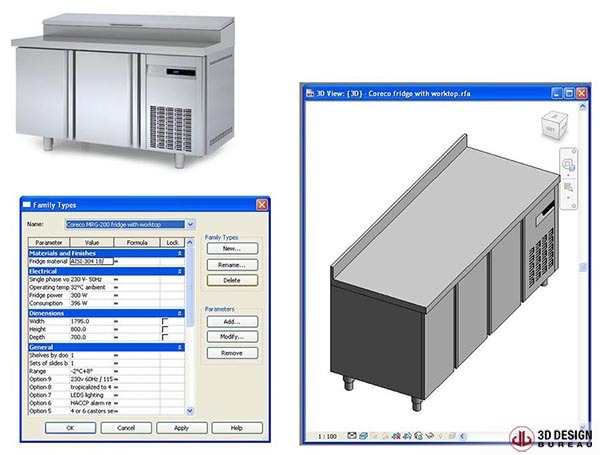 Much earlier route to market for manufacturers and with embedded information within each BIM component model, including company and web details, design teams can get immediate information on the product and company much earlier in the design process. The ultimate goal for manufacturers is to increase sales and this is achieved from the marrying of point 1 and point 2. Get in touch with us if you would like to have have your suite of products transformed and ready for the future of BIM.